Bring a little luxury to your windows with one of our purple made-to-measure blinds from our latest collection. Need help picturing your new blinds? 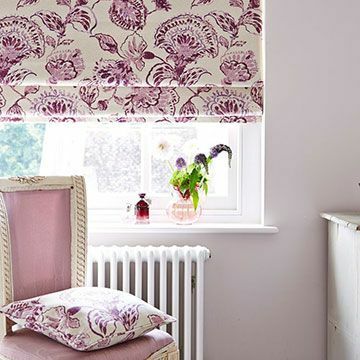 View our range of pink Roller blinds for a touch of purple in any room. View our range of purple Roman blinds, perfect for any room looking for a touch of purple. Browse our range of purple blackout blinds, perfect for any room looking for a hint of purple. Luxurious, Baroque designs in vivid blues and greens, contemporary neutrals and chic pink and purple tones. Berry tones are often thought of as autumnal, but they’re a lovely option for your interior no matter what the season. Delicate pastel shades, like lavender and lilac, are on-trend this season and are very easy to live with in any room of the home. Or plump for deeper tones and make a statement at your windows. Once you’ve settled upon a purple palette, the next decision is which beautiful blind to go for. At your home appointment, your local Hillarys advisor will bring our range to you. They will provide expert advice and inspirational ideas to help you arrive at the perfect blind for your room. 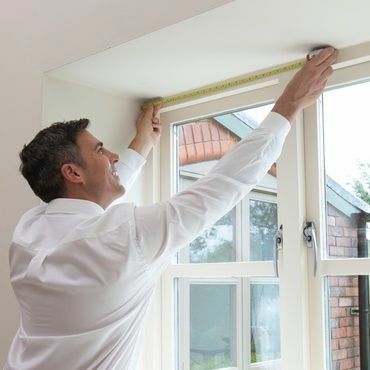 Your advisor will also measure your window and leave you with a no-obligation quote to consider.